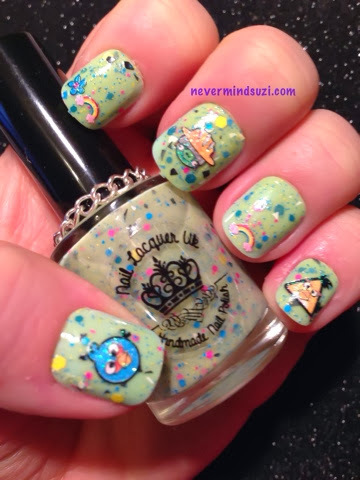 Today I'm wearing another My Little Pony inspired polish from Nail Lacquer UK - Granny Smith. 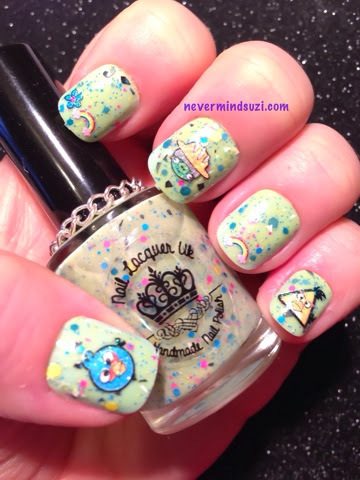 An apple green creme full of bright glitters in pink, blue, yellow and black. It's a lovely colour to wear to shake off those winter blues. 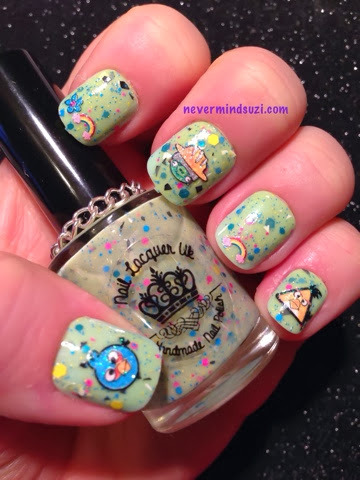 This is two coats of Granny Smith over pale green false nails. 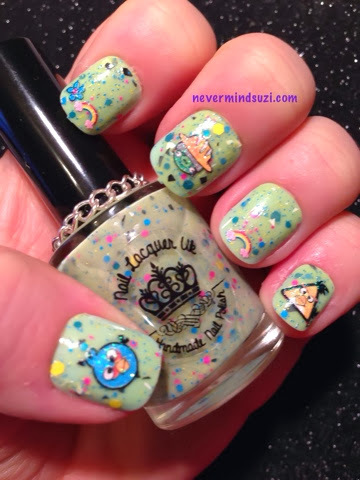 I decided to add some cute Angry Birds decals that I got from BornPrettyStore, I got these in these fabulous value Lucky Bags here. I hope you'll also stop by Nail Lacquer UK's store here. This is such a cool combination!